My name is Wayne Riggs. 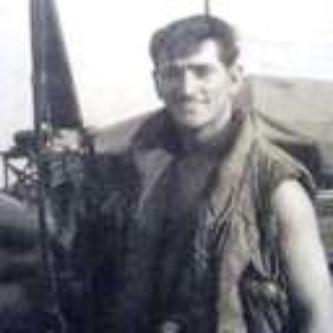 I was a member of the 372nd and 561st transportation companies from April 1968 to April 1969.
same companies. Allan asks me to write about my experience. flew from Ben Hoa to Da Nang the next day. positions. After our completion of training we were told we would be sent to a beach front compound near Quang Tri. 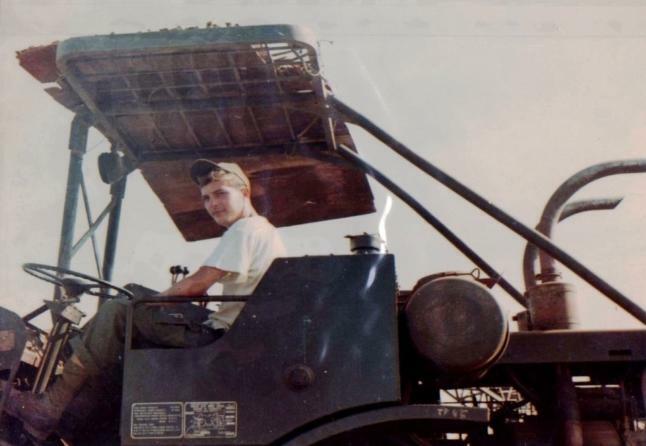 drove tractor trailers, hauling equipment and ammo for the 3rd. Infantry Division for their maneuvers while stationed in Germany. Unbelievable the first night in the ammo dump we start getting hit with mortars. Hell I was scared to death and had no weapon either. Moving on I thought the best thing for me was to dismount my forklift and run for cover. down and drive on the platform with the fork lift in reverse the whole distance back to land. I almost drowned twice so I had a really bad feeling about this job task. knew if they could take our compound that it might change the war. after LTC Sunder’s. Then there was Wunder Beach and next Utah Beach. 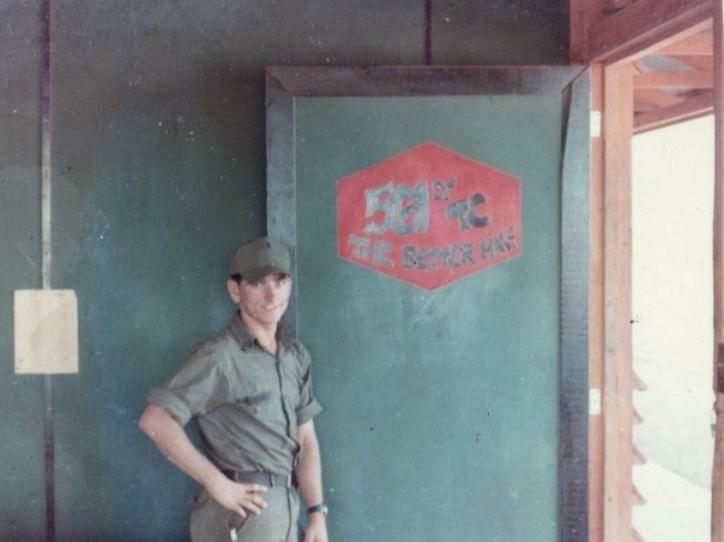 Wesley King at the Honai Orphanage March 1969. 10,000 lb. Rough Terrain Forklift. - Honai Rail Head RVN 1969. 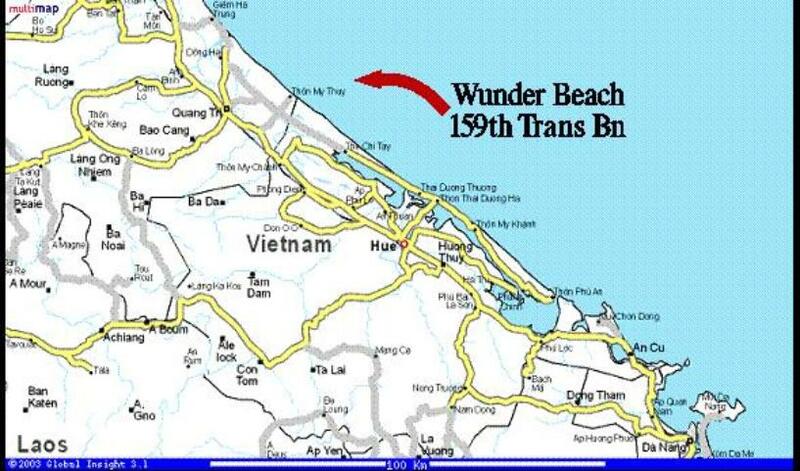 159th Trans Bn (Terminal) was tasked to set up LOTS (Logistics-Over-The-Shore) operations near Thon My Thuy on the beach. wide and over 1 mile deep. 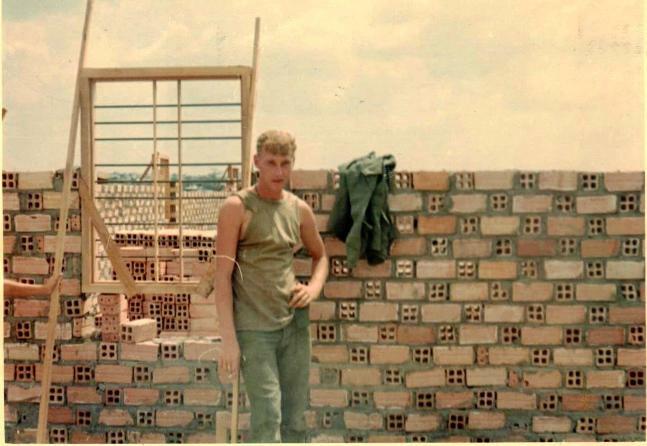 Supply roads were repaired by the Seabees and the 14th Combat Engineer Battalion. every day. We had three lines of Perimeter Defense and the Navy covered our 6’s. early April 1968. We left Utah Beach, company unknown late Sept. 1968. 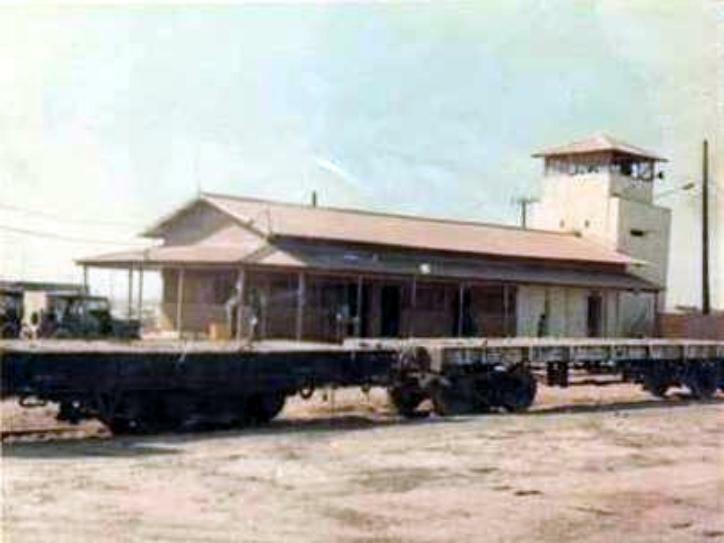 We moved to Long Binh early Oct. 1968 as the 561TC but later were changed back to 372ndTC.